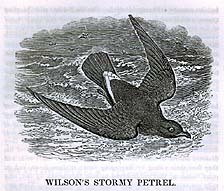 The 19th century was a highly significant period in the annals of ornithology. The extensive pursuit of natural history was stimulated by the continuing exploration of new worlds. The discovery of improved techniques for preserving specimens and the invention of lithography allowed the techniques of bird illustration to reach a height of beauty and accuracy hitherto impossible. During this period the depiction of birds changed from one of stiff, lifeless, perched individuals to more lifelike groupings with correct backgrounds and displays of nests, eggs, mates, and young. Illustrations and textual descriptions increasingly went hand in hand to explain and report ornithological discoveries, theories, and classification schemes. The Hill Ornithology Collection abounds in important 19th-century ornithological literature and includes numerous beautifully illustrated volumes.